Although we were lucky to be able to photograph the bride and groom's pre-ceremony portraits outdoors at some of the great features that make the Chambers Bay Golf Course and surrounding public areas unique, it was raining steadily by the time of the ceremony, which was held indoors. 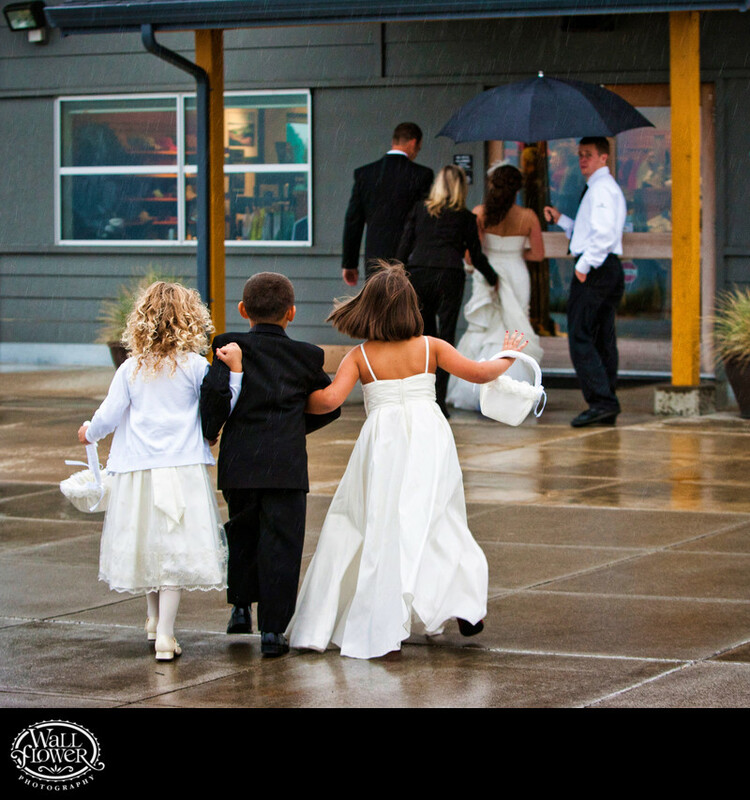 Afterwards, a staff member with an umbrella escorted the newlyweds back across the rain-soaked patio to the clubhouse, but the ring bearer and flower girls had no such shelter, and practically ran across the patio. This photo won an award in a wedding photography competition held by the Artistic Guild of the Wedding Photojournalist Association (AG|WPJA).